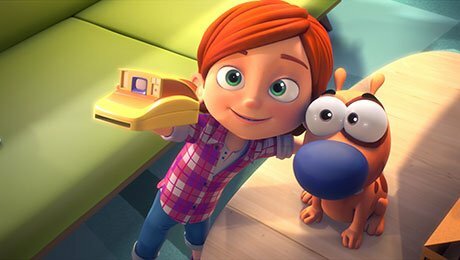 The Walt Disney Company in Germany has become the latest to acquire CGI cartoon Pat the Dog from French distributor Superights. The Mouse House will air the 78×7′ series on free TV via Disney Channel in the country in 2018 after Turner premieres the show in its pay TV window on Boomerang. The deal follows Disney acquiring the series for its networks in the US and Spain, where the show also airs on TV3 Catalunya. Pat the Dog, which centres on the daily adventures of a small dog and its owner, was commissioned by French pay TV broadcaster Canal+ and Italy’s Rai. Other broadcasters to have acquired the show include Radio Canada, Discovery in Latin America and VRT and RTBF in Belgium. Turner picked it up in EMEA and Asia Pacific. The series is produced by Superights’ parent company, SuperProd, and Italian firm Animoka. A second season is currently being prepared. Pat the Dog is based on characters from a mobile game called Paf le Chien (Spacedog), which has 27 million users around the world and is particularly popular in France.